When the summer livin’ is easy, I enjoy sitting out on the porch with a few tunes. Today’s lazing soundtrack was “Three Views of a Secret” by Jaco Pastorius as I went over some old posts to see if anything needed revisiting. And this piece from July 2011 popped out as a debate that is still raging – but with some resolution. It seemed to fit the tension that always builds in a Jaco piece. Economists, as noted before, have widely divergent views about the economic situation and what should be done about it. But the experiments that have been running through various economies are teaching us all a little bit along the way as to who may be right. It’s worth revisiting. 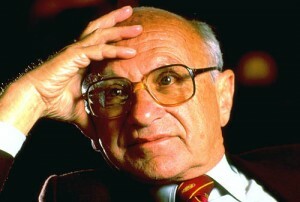 Milton Friedman. He always had a wry smile like this. The earlier piece, called “Moving the Economy Forward,” started with an analysis of the problem in very stark terms. The average amount of time people remain between jobs over the last 60 years has been about 14 weeks, although that level has not been seen since 2001. Since then, it spiked up to 20 weeks right after the official recession and then settled into about 17 weeks through the 2000s. It spiked again in 2011 to 40 weeks, a level unheard of since good records were kept in 1948, and has only recently fallen below 28 weeks. Something is terribly wrong. 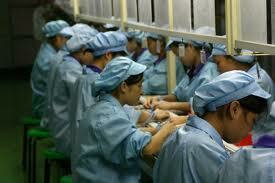 It suggests that we do, indeed, have too many available workers. But is there more? For all the success we have seen in the last two years in turning things around slowly, this is the most stubborn and devastating statistic. The fact that there has been no clear course of action found to combat it has a lot to do with its persistence, too. If the economists can’t agree on what should be done, how can we expect government to? Mean Length of Unemployment, since 1948. Data from the St Louis Federal Reserve. The Fisherian View: Named for economist Irving Fisher, it tells us that major downturns (depressions) come from credit bubbles bursting, or an excess of cash that went into unproductive uses that created false valuations that could not be sustained. The solution is to control credit and allow the economy to right itself after a painful restructuring. This is the root view of austerity. The Friedmanite View: Named for economist Milton Friedman, this view centers on the money supply but doesn’t necessarily place blame for downturns on bad policies or expansions. It tends to emphasize business cycles, and contends that counter-cyclical money supply expansion should do the trick. The Keynesian View: Named for John Maynard Keynes, this view focuses on an overcapacity of the economy, generally in manufacturing but not limited to that, as the root cause of a downturn. The remedy is to boost demand back up so that the capacity is utilized again and a renewed need for workers keeps everyone employed. There is value in each view, which is why none of them have really “won” the debate. There can be little doubt that the global credit bubble of the 1990s that was reflated in the 2000s to even greater heights had a lot to do with how we got to where we are. But the austerity that has been the medicine of choice in Europe has, since 2011 at least, been shown to be a failure. What’s kept the US afloat during this time has been a Friedmanite expansion of credit by the Federal Reserve, which did some good – but not a damned thing to fix the duration of unemployment. The Keynesian view has only recently been tried in Japan with great success, but no one thinks it is sustainable. Why isn’t one view winning over the others? The truth of it is that the tension between these arguments all comes from a sense of harmony delicately played in a different era. We’re all waiting for the sense of an ending as any one of these plays their way out, but like a Jaco piece there isn’t a final resolution. The jam continues on, meandering without a strong coda. The real issue is that we have all of the root causes identified by each view. Not only has there been a credit bubble, but we fit solidly into the timing of business cycle theory. And capacity was re-defined by globalism, wringing out excess in isolated local markets – at least until the developing world grows into what we have. But the competition between markets makes real Keynsianism very tricky, at best. What should be done? 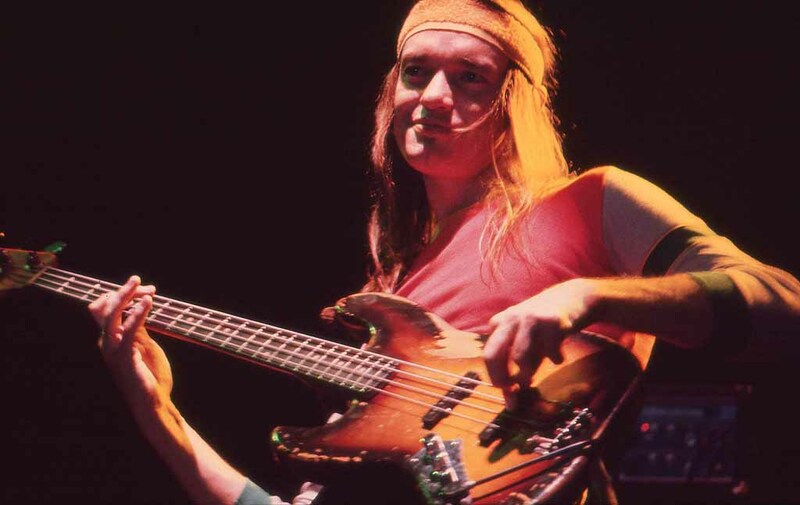 First , listen to more Jaco. Second , let it jam on into the night. We’ll figure this out sometime, at least once the players all find their way onto the same chart. This entry was posted in Money, Nooze and tagged current events, Economics, economy, growth, Jobs, News, Politics, unemployment. Bookmark the permalink. Very good, I do agree we need a higher inflation target. I just don’t know how we get the velocity up where it has to be to achieve that. But yes, all around, inflation is a good thing in small amounts. Hasn’t the Friendman / Chicago view been thoroughly discredited by now? It’s still out there. This is a set-up for something coming out of the Federal Reserve. They are getting more Keynesian all the time, but not without a fight. They still haven’t figured out how to unwind the stimulus of low interest rates. Seems like we are ready for some new economic theory. How about the French economist, Thomas Piketty? I consider Piketty essentially a Keynesian in terms of this debate, although his solutions are a bit more permanent than Keynesians usually talk about. But it’s about keeping up demand in a nice, steady flow by sharing the wealth more evenly. Piketty says little to nothing about debt, which I think is a failure on his part. I do think business cycles are the most important thing to consider overall. A rising tide still lifts all ships, but when the ship hits the rocks at low tide who are the first on the lifeboats? That is what seems to crush working people, IMHO. Understanding just what business cycles are and what causes them is important. Cycles may be the norm.